Memphis International Raceway (MIR), site of this weekend’s International Hot Rod Association (IHRA) Summit World Finals, is the Mid-South’s premiere racing destination for racers and spectators alike. The facility, located minutes from Memphis, Tenn., includes multiple Motorsports venues allowing it to host a wide variety of events. Drivers and teams from IHRA divisions around North America have qualified for the Oct. 20-22 Summit World Finals through a series of Summit Team Finals events. 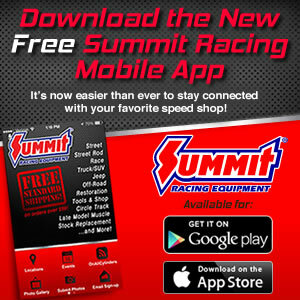 The Summit SuperSeries is contested at nearly 100 IHRA-sanctioned tracks throughout North America with more than 8,000 racers competing in the program annually. Summit Team Finals main event championship winners, with a valid IHRA membership and an “X” number, are eligible for the Summit SuperSeries World Championship race set for MIR this weekend. Prestigious events such as the 63rd Annual World Series of Drag Racing, Original Super Chevy Show, Hot Rod Power Tour, ARCA Series, IHRA Summit World Finals and NASCAR races have taken place at MIR. Previous NASCAR and NHRA notable MIR winners include: John Force, Tony Schumacher, Antron Brown, Larry Dixon, Kenny Bernstein, Brad Keselowski, Greg Biffle, Kevin Harvick, Carl Edwards, Clint Bowyer, Ron Hornaday, Tim Wilkerson, Allen Johnson, Greg Anderson and many more. One of the track’s 2017 highlights was NASCAR’s return to the Mid-South region with the NASCAR K&N Series race on June 3. NASCAR and MIR enjoy a storied history dating back to September 1998 when the facility hosted its first NASCAR race. Harrison Burton, son of former NASCAR driver NBC Sports analyst Jeff Burton, was greeted by an enthusiastic crowd as he took the checkered flag earlier this year at MIR. Red Bull Global Rallycross, another 2017 highlight utilizing a new 1.8-mile course layout at MIR in April to open the 2017 season, was a perfect example of the diversity of Memphis International Raceway. The course featured one of the longest and fastest courses in Red Bull GRC history. The layout was built into MIR’s .75-mile oval starting at the end of the backstretch. Drivers charged around the banked corners and came up to speed on the front stretch, hitting top speed in front of the main grandstand. Continuing around the oval, drivers took a hard left off of the backstretch into the dirt section, which included multiple turns and the series’ signature 70-foot jump. Returning to pavement, drivers charged up the pit lane towards a complex paved section that included multiple left-right combinations. MIR’s flexibility can be seen innovating its programming or assisting the community – both are significant strengths. When it comes to Motorsports, diverse events and community involvement, Memphis International Raceway and its dedicated staff can pretty much do it all.